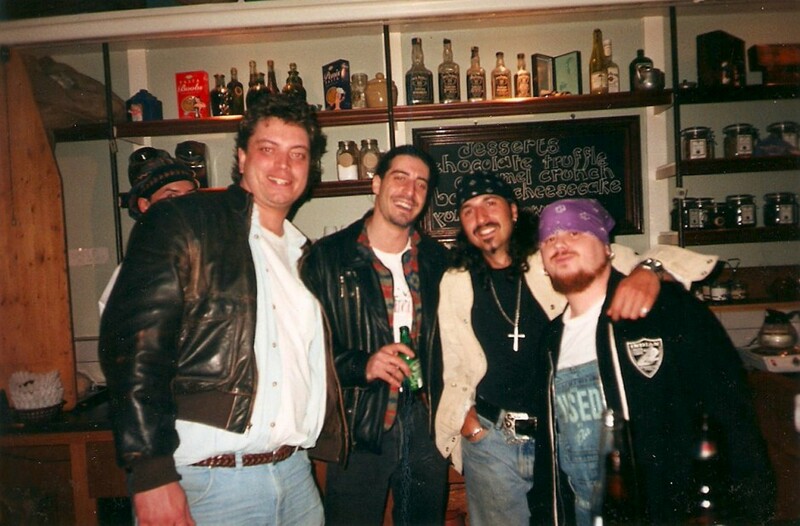 DJ Gio Cristiano (far right) beside Gypsy co-owner Mike Borg and friends. Photo courtesy of Cristiano. Article originally published April 18, 2013 by The Grid online (thegridto.com). Denise Benson revisits this influential Queen West resto-lounge that brought together bohos, bankers, artists and trendsetters for a menu that included good eats, DJed beats, a smorgasbord of live music, and a diverse cast of characters. History: Though perhaps now difficult to imagine, in mid-1990s Toronto, it was still unusual for bar and restaurant owners to open sizable spots on Queen Street west of Bathurst. Trinity Bellwoods Park felt far-off, while Parkdale was not the trendy destination point it is today. Still, evening social life on Queen was slowly moving westward. Boom Boom Room had run successfully for five years, Sanctuary had brought the goths to Queen and Palmerston, Squirly’s offered cheap nosh ‘til late, and Terroni opened its original location at 720 Queen West in 1992. A pioneering address was 817 Queen Street West, near Claremont. 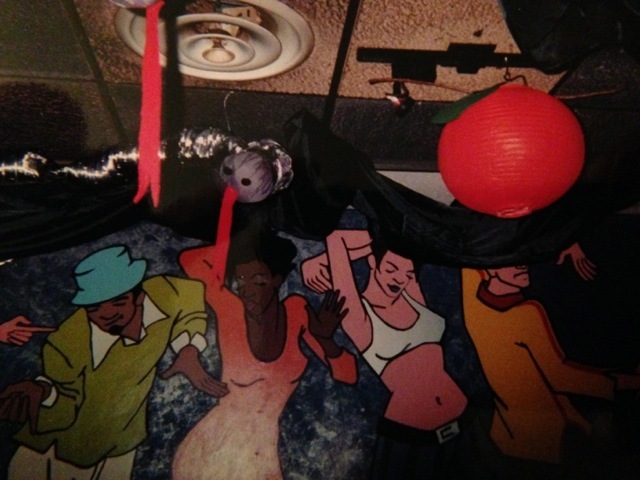 In the late ‘80s, Marcus and Michael O’Hara opened the über-cool Squeeze Club there. The Squeeze was a combo restaurant, bar, art space, and billiards hall that soared at first, and struggled later. When the business went up for sale, the brothers Borg scored the location. 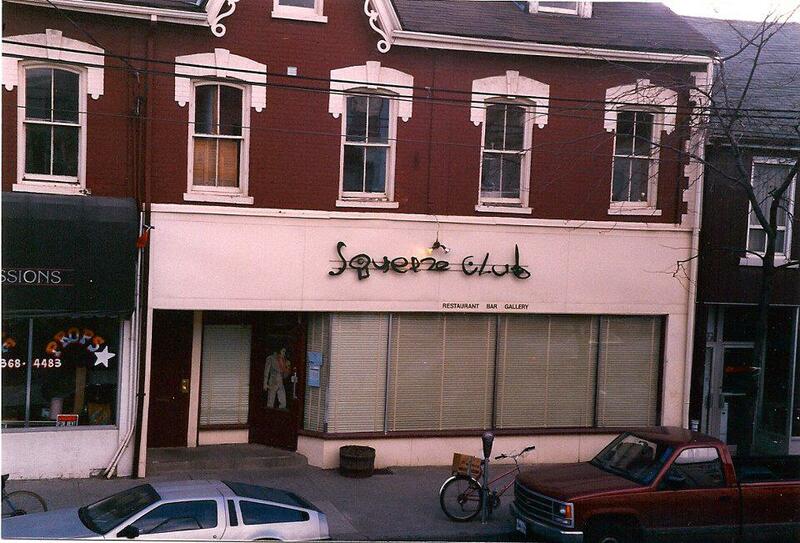 Marcus O’Hara’s Squeeze Club pre-dated Gypsy at 817 Queen West. Photo courtesy Vintage Toronto.